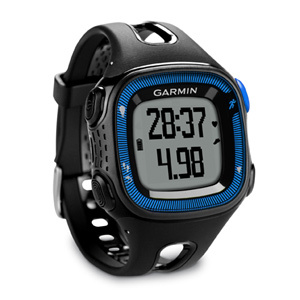 From the simplest and on upwards, the Garmin range of activity trackers is quite competitive. From models that come with heart rate monitoring and otherwise, apps like Garmin Connect, extended battery lives, and designs that will stand out in style, Garmin does not need to have tricks up its sleeve when it can show it all off on the wrist. Tracking Factors Steps taken, distance traveled, calories burned, workouts, training. Colors Black-blue, black-green, red-black, teal-white, violet-white. Heart Rate Monitoring Yes; optional, based on preference. Splits, pace, calories burned, distance run, and heart rate tracking are an athlete’s favorite features to see on activity trackers. Even basic training could do with all this. GPS functionality distinguishes the Forerunner 15 from other brands that only guess your distance based on movement metrics not actual map-based distance covered. When you are not running, this Garmin marvel serves the role of pedometer and tracks calories and distance using standard movement sensors instead of GPS; a great battery saving shift in function. From its classic sporty look to a rubberized strap and thick plastic bezel, the tracker keeps off rainwater and perspiration and is easy to clean. You have four large navigational buttons that with practice become easy to use. They are large enough to access while running. Screens can be cycled through to view different stats. The blue button activates the GPS when you get started on an exercise and displays live distance and time readings , including calories and pace, which you can view separately using alternate buttons. From an extremely accurate GPS system and all-round training benefits to a superb app that is compatible with Mac and PC systems, the Garmin Forerunner 15 is versatile, rapid in response times, stylish, and highly practical. Outstanding compatibility and accessibility features. Shocker! It does not work with iOS or Android devices only PC and Mac. No built-in heart rate monitor; that is reserved for view on the app. Tracking Factors Calories burned, duration and quality of sleep, steps taken, distance traveled, workouts. Colors Black, white, navy, pink. The backlight feature is quite handy in that it allows you to see the tracker’s metrics even in dim light conditions; great for those late evening jogs or walks. The stopwatch feature enhances accuracy. While syncing is said to be automatic you are often left with manually doing it yourself with button-pushes. Cycling through all recorded metrics (goals set, time, date, steps taken, calories burned, distance covered) adds to the superb convenience of the Vivofit 2. As non-touchscreen fitness trackers go, this model is still user friendly and fun to work with. However, you will not find any smartwatch-style updates with this tracker; incoming call and text alerts will have made for an outstanding improvement but alas. For bpm (beats per minute) based training, it can be paired with heart rate monitoring functionality. It sets daily goals based on your recent activity, which is quite intuitive. Your goals are then displayed as a countdown, which is rather engaging. A personal stats based algorithm takes care of your calorie count and, along with other metrics and the use of an accelerometer, gets you rather precise measures despite the absence of a built-in GPS system. The Move Bar function, exclusive to Garmin brands, sends you audio alerts and red move bars that build up and encourage you to get up and get moving. You will need to trigger sleep mode manually after which the Garmin Vivofit 2 tracks sleep patterns based on your movements; it does not include REM cycles, though, which is a downside. Significant updates have been applied to the Garmin Connect app that presents your metrics in crisp and clear layouts. The MyFitnessPal app helps you link up food and nutrient intake tracking as well, adding to this activity tracker’s many advantages. Exceptional battery life (one full year! Seems like you do not even need to rely on the two replaceable CR1632 coin batteries included). Not much of an upgrade from its predecessor. Tracking Factors Food and nutrient intake, steps taken, calories burned, distance traveled, sports activities. Colors Black, blue, purple, berry, slate. 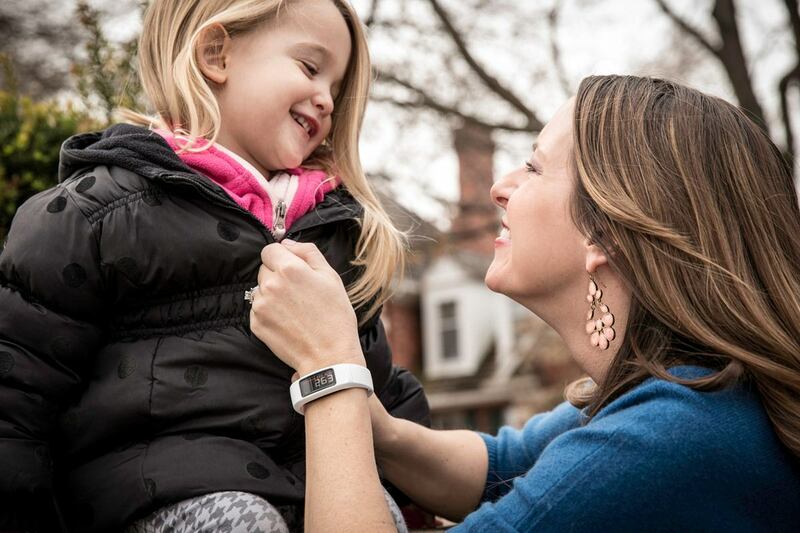 From its rubberized finish to a neon blue illuminated OLED display, the Vivosmart looks as good as it performs. The matte black overlay is highly appealing while leaving the screen clear to see and read metrics on. Smartwatch features are indeed available with this one, but more than that it is the activity tracking functions that are the real showstoppers. A new daily step goal is calculated for you and altered everyday, adding to the intuitive support this tracker brings to your fitness aims. A personal metrics based algorithm takes care of calorie count while an in-built accelerometer makes distance recording a breeze. Even though the Garmin Vivosmart lacks a built-in GPS, it still works like a charm. Sleep monitoring features (they are not even automatic, press-hold a button to select the mode from the menu) are quite basic and not as expansive as they could have been. Nightly movement tracking and duration of sleep are certainly recorded but the Vivosmart is not capable of offering you clever wake-up alerts for when your sleep patterns get light let alone tracking deep sleep patterns. Despite the lack of GPS, the Vivosmart has risen to the running occasion and shown remarkably precise metrics compared to those bands that have GPS functions. This feature is weak for serious training but perfect for casual jogging. You can use Garmin’s ANT+ devices to link up your bpm (beats per minute) and pedal metrics (cycling) to help with heart rate monitoring. Otherwise these particular tracking options (heart rate and cycling) are not primary for the Vivosmart. The Garmin Connect app is a great fit for your PC or smartphone. Unlike other brands in this range, you do not need the ANT+ USB adaptor to link your band up to a preferred device. Merely use the included USB charging cable or sync data wirelessly with the Vivosmart’s Blutooth function. You can even link to the web portal dedicated for this purpose. Both the site and app are quite comprehensive. 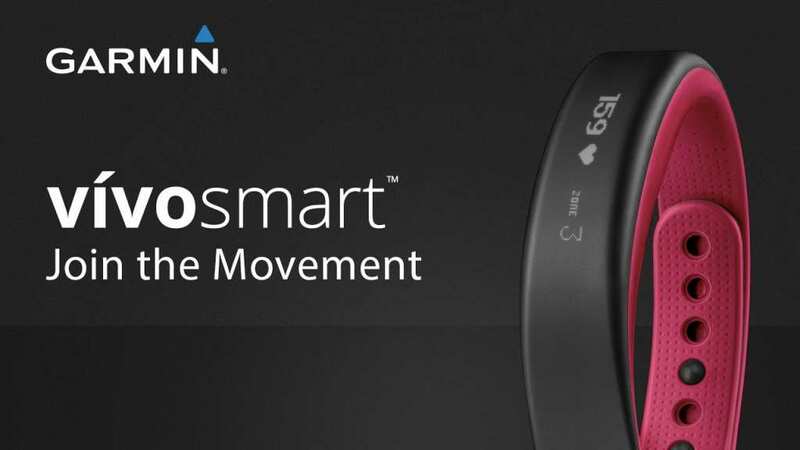 The Garmin Vivosmart enables smartphone notifications to be sent to the band (text, incoming calls, social media messages, emails). You can turn off select app notifications on your phone but all alerts come up on the activity tracker regardless. Ideal for everyday use, the Vivosmart has proven to be an all-rounder when it comes to fitness tracking and activity recording on the go. Distance traveled and steps taken are precisely recorded. All smartphone notifications come up on the band or none of them do. Sleep tracking is rather basic. No built-in heart rate monitor. Tracking Factors Running, golfing, swimming, biking, distance traveled, steps taken, calories burned. Power and backlights are accessed via the left buttons while start/stop features for varied activities are reserved for the right buttons, leaving everything else to either swiping or tapping the touchscreen on the Vivoactive. The rubberized strap is quite comfortable and the watch itself looks futuristic with a slightly bigger screen than most other activity trackers on the market. 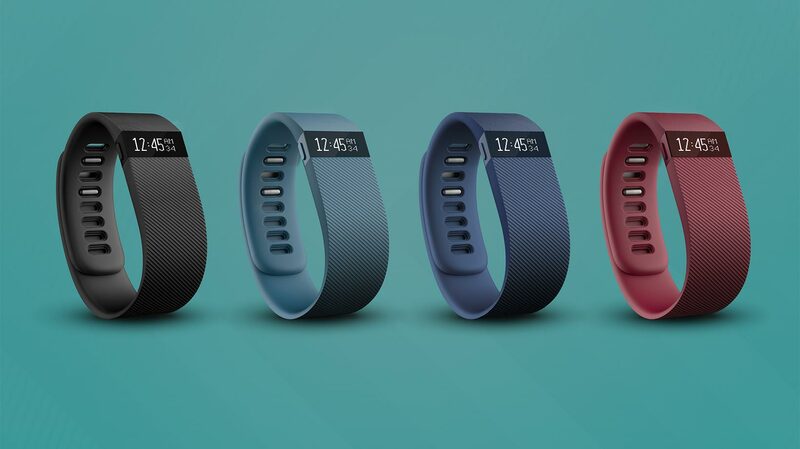 It logs sleep patterns, calories burned, steps taken, and distance traveled; all expected and standard requirements for quality fitness trackers. Thanks to full GPS tracking functionality, you can also find apt apps to track sports activities including golfing, cycling, walking, and swimming; you even have downloadable courses for each. 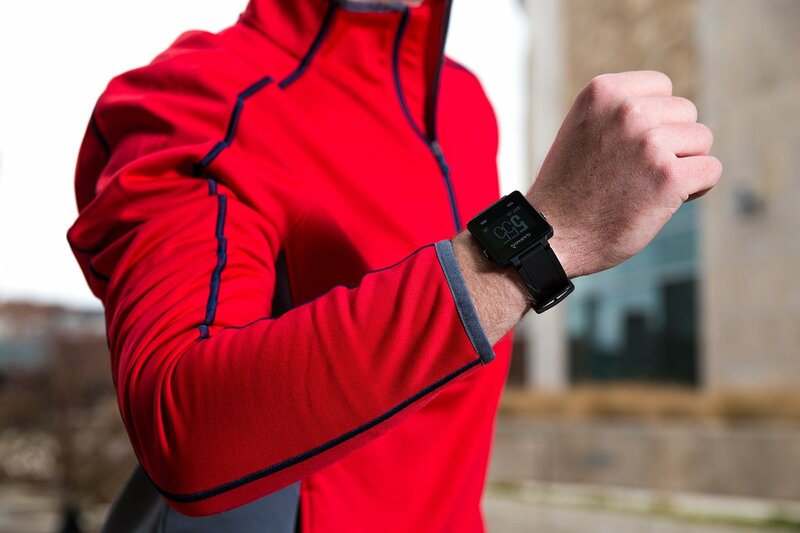 General cycling, walking, and running options, without the need for GPS, are also part of the Vivoactive’s capabilities. Once you have bought additional sensors (sold separately) you can extend this Garmin masterpiece to tracking options like: pedaling cadence (cycling), running cadence, ambient temperature, and the vaunted heart rate monitoring capabilities that most other brands and models cannot balance with sundry other features like how the Vivoactive can. IQ Connect Store (Garmin’s very own app central) can be accessed using the Garmin Connect app synced to your PC/Mac or smartphone (iOS or Android) and you can go about downloading widgets, other apps, and more besides. You can do this even without plugging in to your computer. Use the watch’s ‘personal information’ section to input all needed details pertaining to yourself. You can auto-sync the data back to your app in your smartphone and watch as the magic unfolds. While tracking general movements and offering timely activity reminders are the Vivoactive’s strong points, it falls short when it comes to sleep tracking. Manual input is required for sleep tracking; either into the watch or app. Details displayed for sleep metrics are simple to the point of spartan. It also takes a while to learn which settings are controlled directly by the watch and what the app can handle on its own. 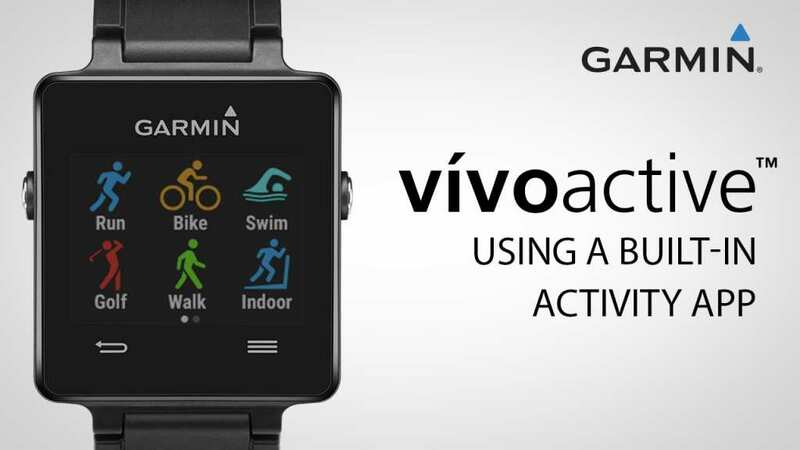 Tracking activities are the easiest to handle with the Garmin Vivoactive. A 3-4 day battery-charging period is pretty good, considering all the features and GPS functionality that this fitness tracker calls into play. This Vivoactive is neither too simple nor too complex, but is it just right for you? That is a personal preference you need to confirm. 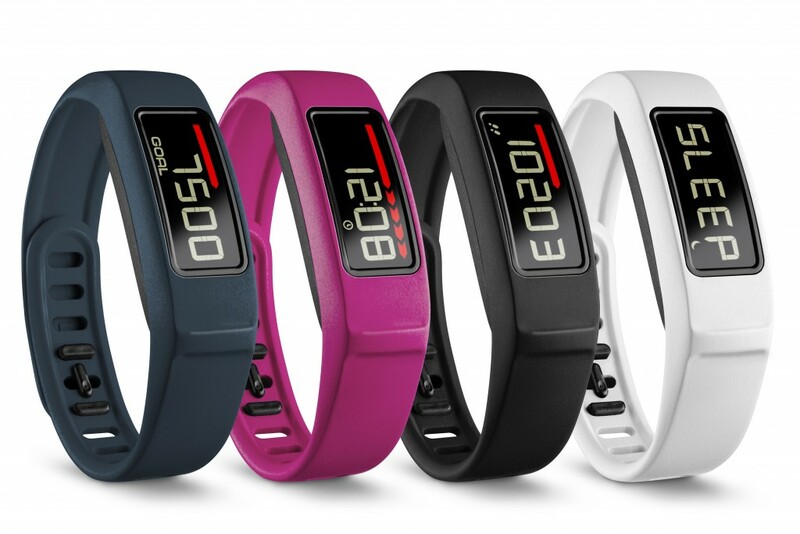 The Garmin chain of fitness trackers is beautifully balanced and practical to the core. They pack several amazing features with high-end models offering GPS or Bluetooth connectivity and technology that can afford you various tracking options. Affordable, durable, stylish, and multifunctional, Garmin seems to have the last word in several areas of the activity tracker field.